Dr. Raffaella Armstrong gruated from the University of Kentucky College of Dentistry in 1994. She then completed an Advanced Education program in Italy and received a Dental Degree for the "European Community". 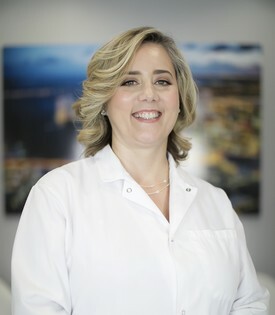 Before relocating to South Florida in 2003, she practiced general dentistry in Europe and in Kentucky. Dr. Armstrong has received extensive training in Cosmetic Dentistry and Complete Dental Rehabilitation. She has served as a clinical instructor for the Florida Board Dental Prep Course. She is a member of the American Dental Association and the Academy of General Dentistry. She is married to Robert and has two children Sofia and Francesco. She is fluent in English, Italian and Spanish.